What Can Be Predicted by Using an Activity Series? Is the Ability to Dissolve Metals a Physical or Chemical Property? Dissolving metals is a chemical property that takes place when water or strong acids react with metallic objects. Chemical forces pull metal atoms from the object, causing it to break apart and leave the atoms floating freely in solution. Solubility depends on the acids and metals involved. Lead and iron react easily, while platinum and gold are much harder to dissolve. An object’s mass, density, and size are all physical properties, as they define the object’s physical state and behavior. Other physical properties, especially for metals, include ductility, hardness and color. By contrast, chemical properties describe how a substance reacts chemically with other substances, and include electronegativity, pH, and ionization state. Many chemical properties are related to the electrons in the atoms of a substance, as electron exchanges between atoms and molecules are fundamental causes of chemical reactions. The ability to dissolve metals is a chemical property because it involves the electron exchanges between the metal and the acid, but has little to do with mass, hardness or color. Metals posses a chemical property called “activity” because of their ability to lose electrons to other atoms. An activity series ranks metals by how reactive they are, with sodium and lithium ranking very high and gold having a low rank. In water or acids, the metals trade places with hydrogen. The hydrogen escapes as a gas, and the metal atoms, no longer attached to the object from which they came, dissolve in solution. Strong acids are a combination of hydrogen and an element or compound called a conjugate base. For example, hydrochloric acid pairs hydrogen and chlorine as HCl. When the acid dissolves in water, hydrogen splits off from the base and the solution becomes a powerful solvent. Hydrochloric acid dissolves the less active metals, such as zinc and magnesium, easily. It dissolves the more-resistant iron, copper and related metals less easily, or not at all. Other chemicals, such as nitric acid, will dissolve some metals that hydrochloric acid will not. 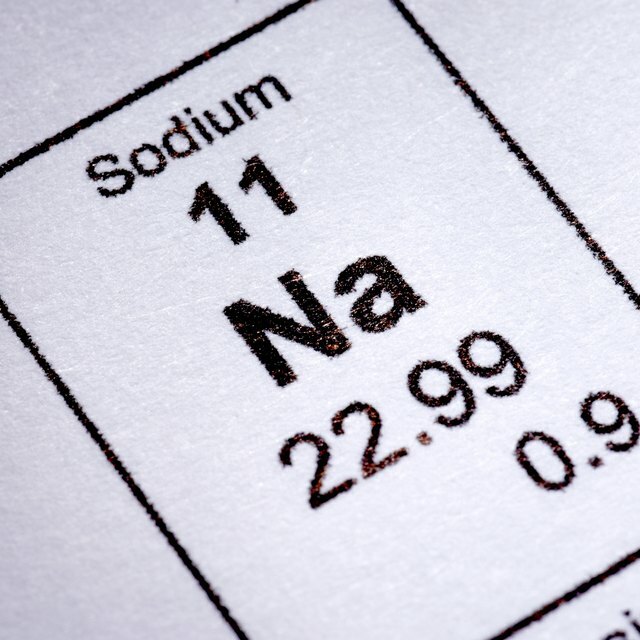 The most active metals, which include sodium and potassium, dissolve instantly and dramatically in plain water -- no stronger acid is needed. The metals react violently with water, releasing and igniting hydrogen gas and causing an explosion. Because of the strong reactivity of these metals with water, it is dangerous to leave them exposed even to the moisture in humid air. They are usually stored in mineral oil, with which they do not react. A class of elements called the noble or precious metals dissolve only with difficulty. Platinum, iridium, gold and osmium, in particular, stand up to attack by strong hydrochloric and nitric acids. However, by carefully combining them, you obtain a powerful solvent known as aqua regia, which does dissolve gold. Platinum and a few other metals are particularly resistant to acids, but hot aqua regia dissolves them, although slowly. How Are Acids & Bases Different? Which Metals Are the Heaviest? Papiewski, John. "Is the Ability to Dissolve Metals a Physical or Chemical Property?" Sciencing, https://sciencing.com/ability-dissolve-metals-physical-chemical-property-9309.html. 09 March 2018.